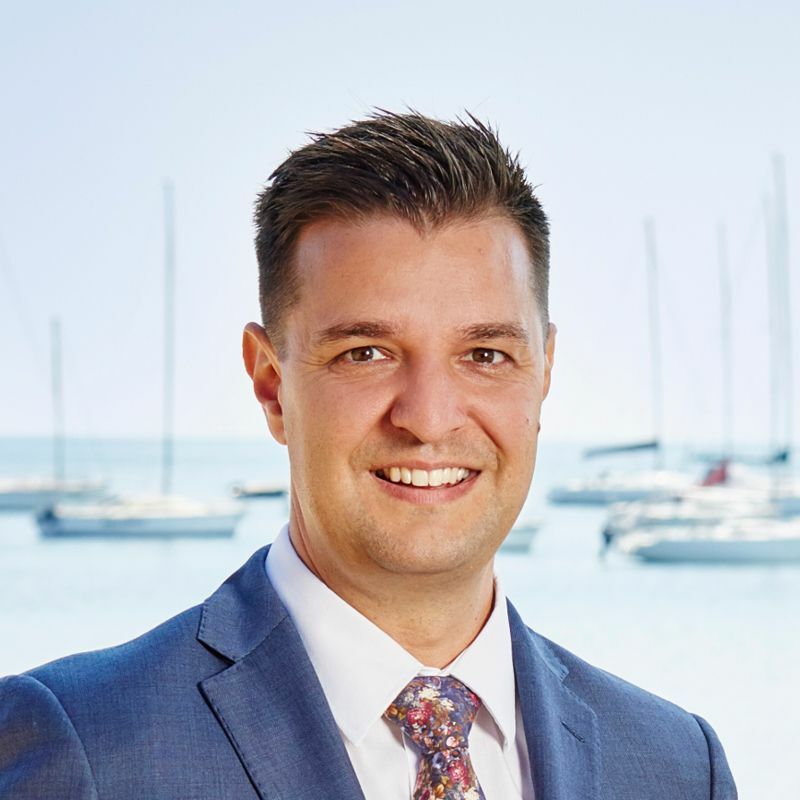 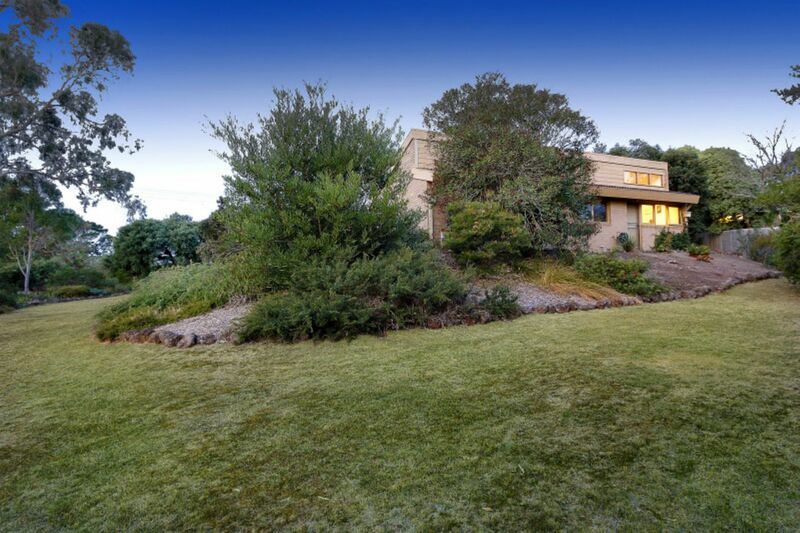 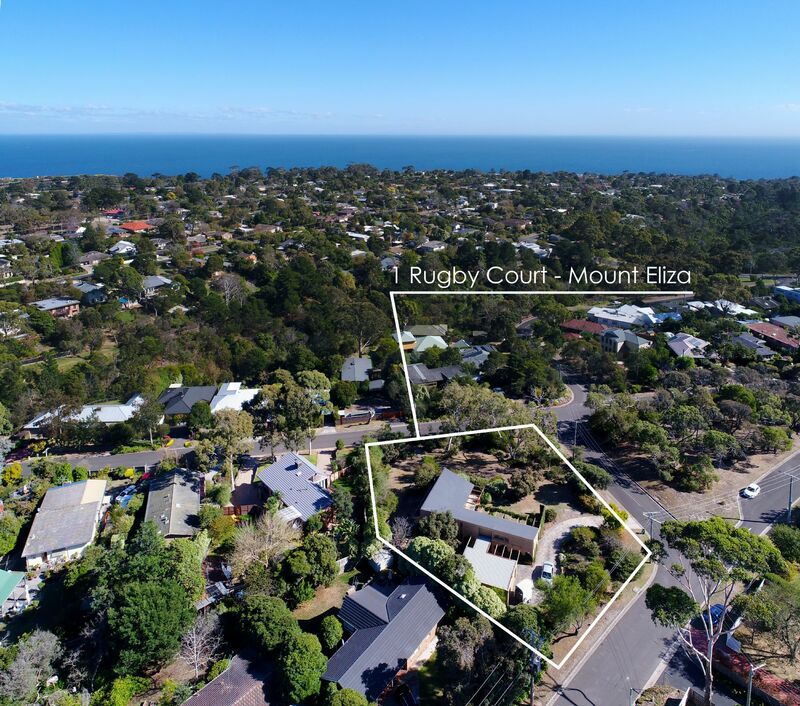 A rare opportunity presents to secure a significant land holding in Mount Eliza�s exclusive Ranelagh Estate with �Wing Spread� � a Mid-Century modernist residence on 2027 sqm (approx) of beachside land. 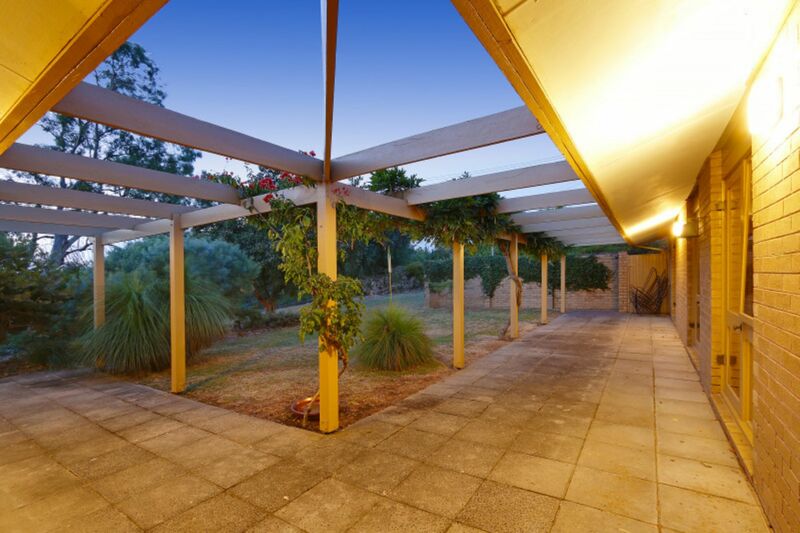 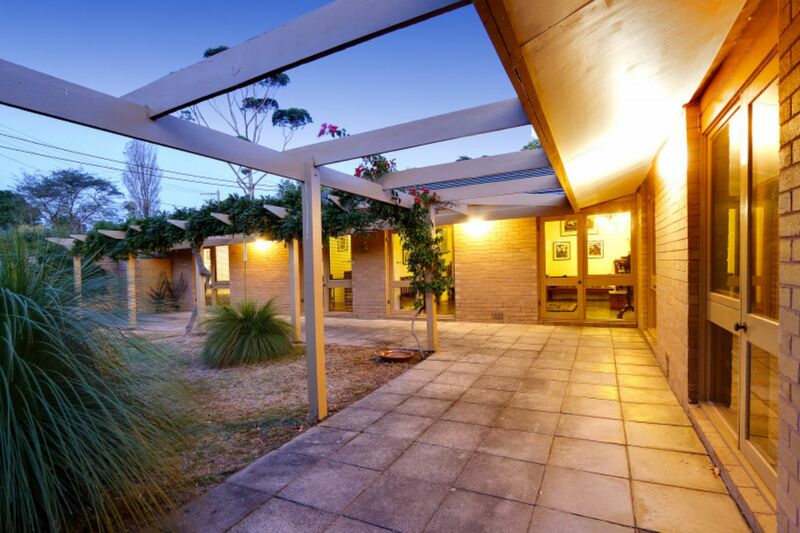 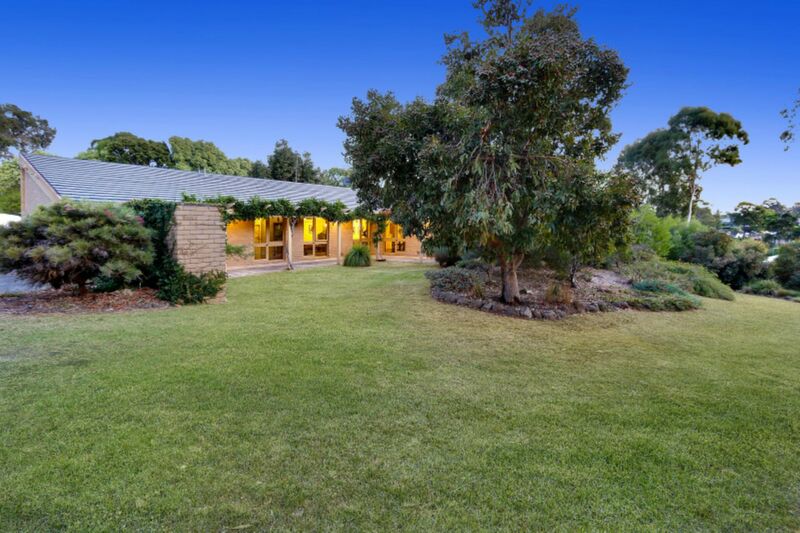 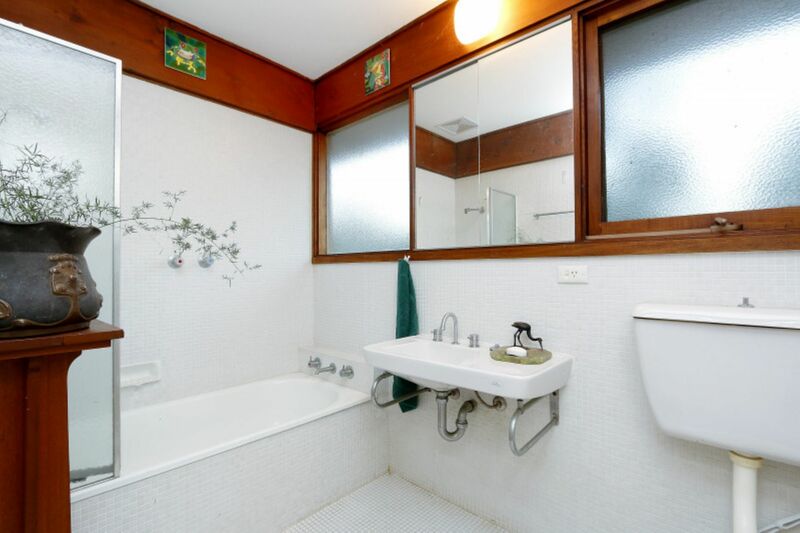 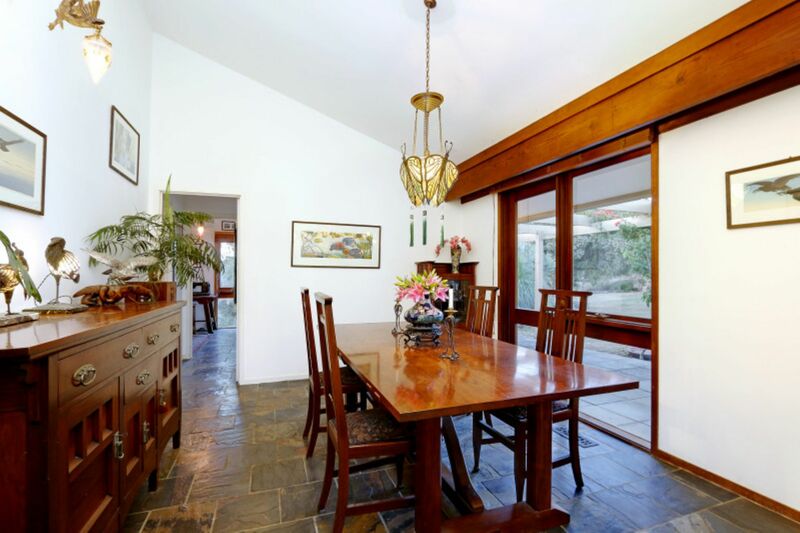 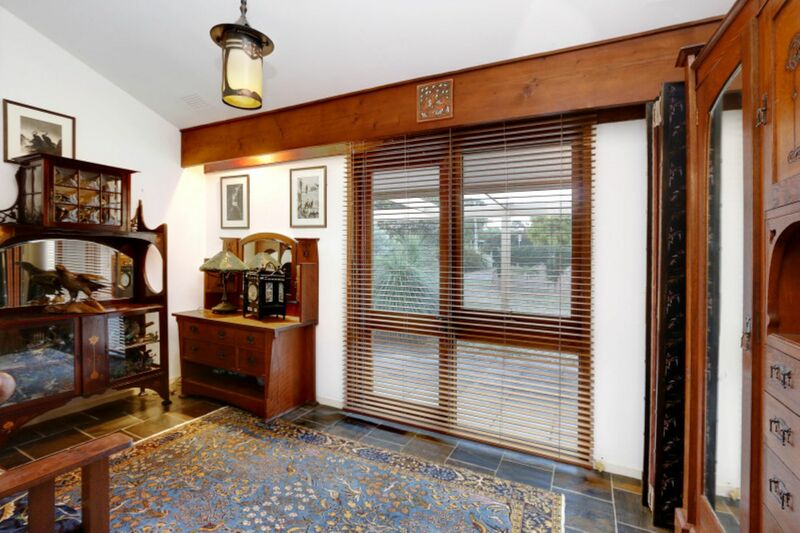 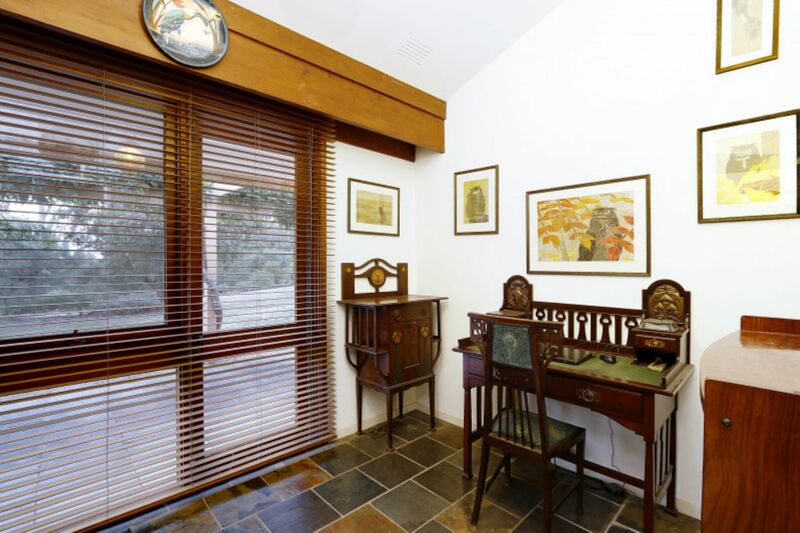 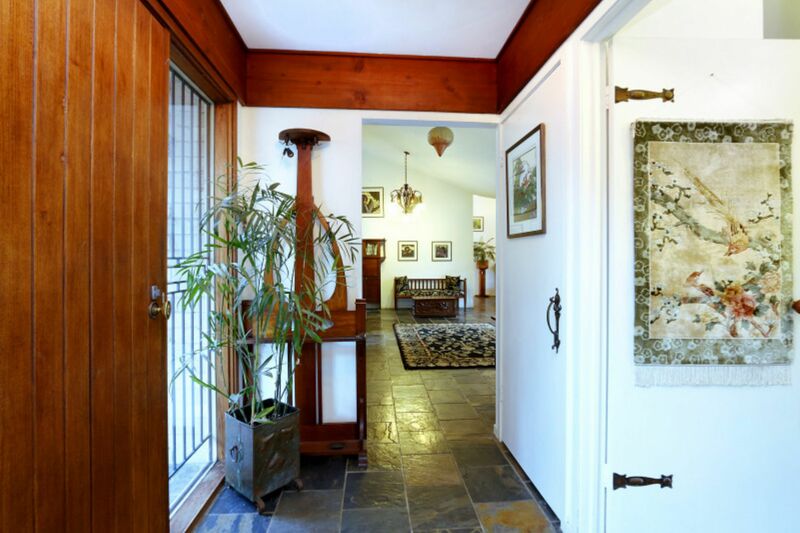 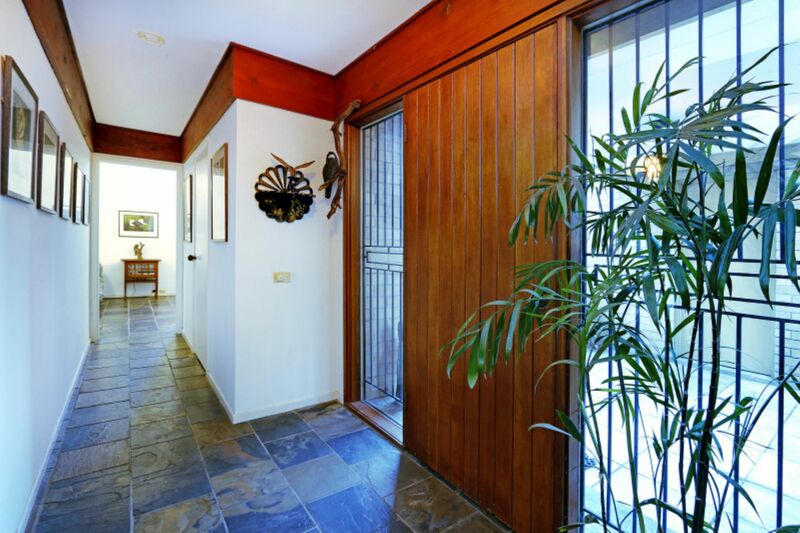 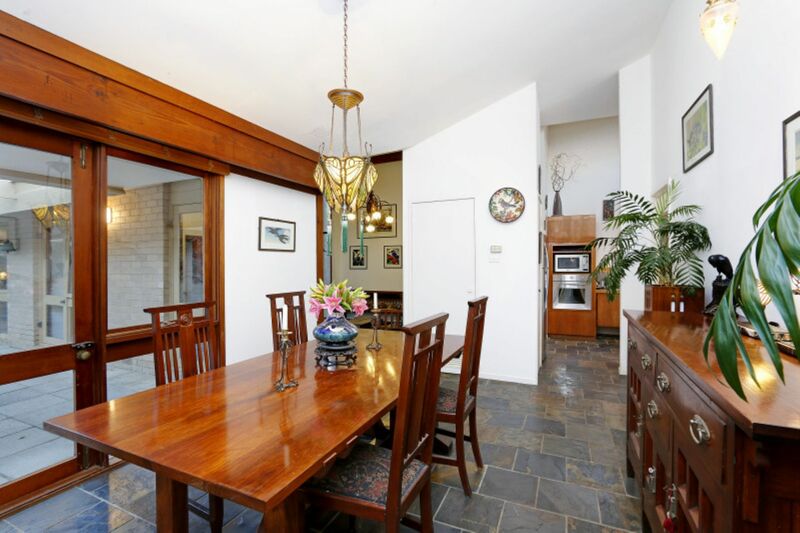 This 1960s original is a jewel in the Walter Burley Griffin-designed �garden suburb�, where avenues and crescents sweep past the village shops down to meet the Ranelagh Club and the beach. 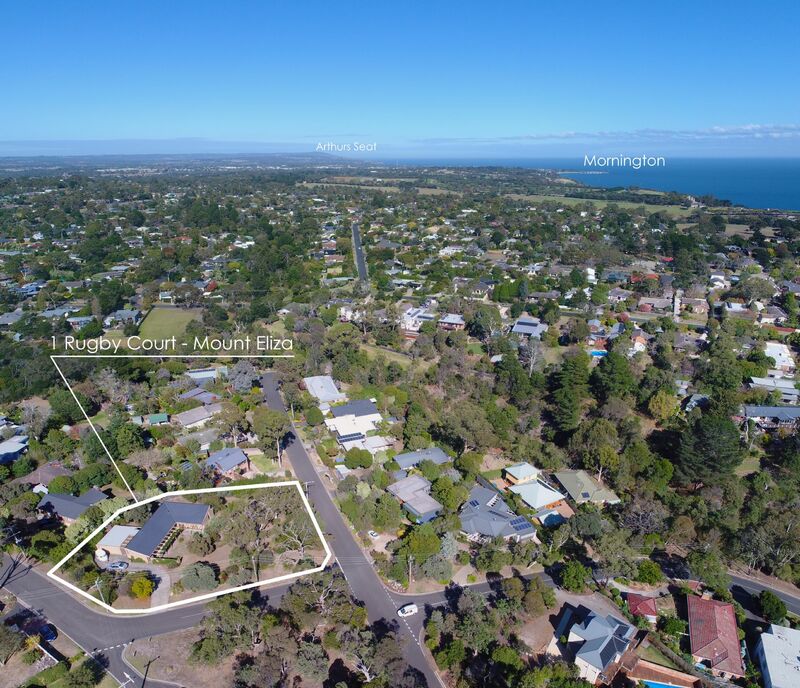 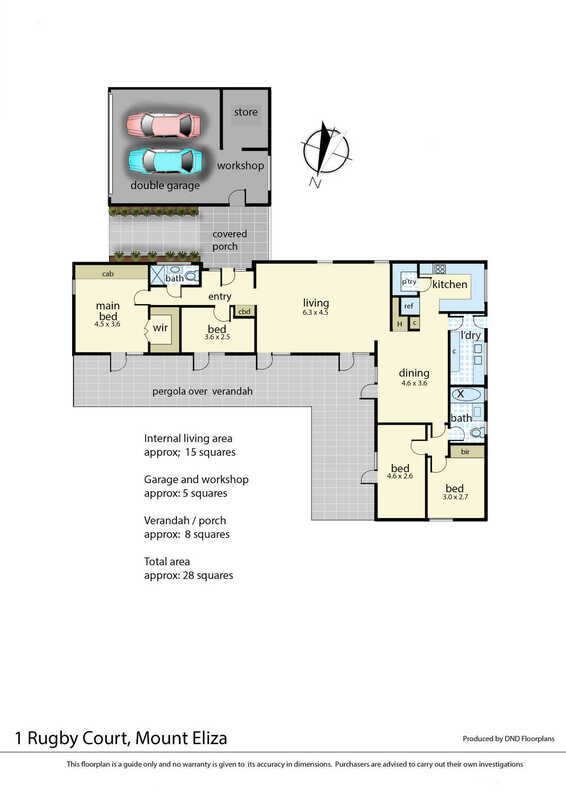 �Wing Spread� features 3 street frontages and a Graeme Gunn-designed 4-bedroom, 2-bathroom (or 3BR plus study) home. 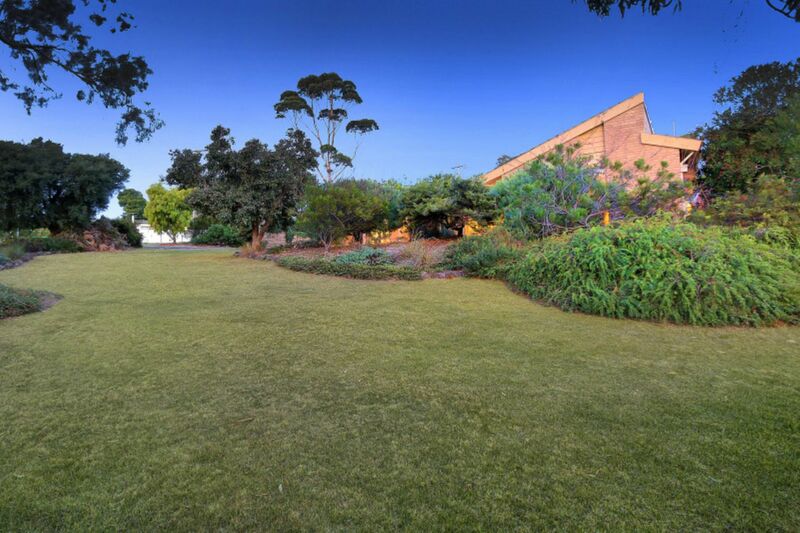 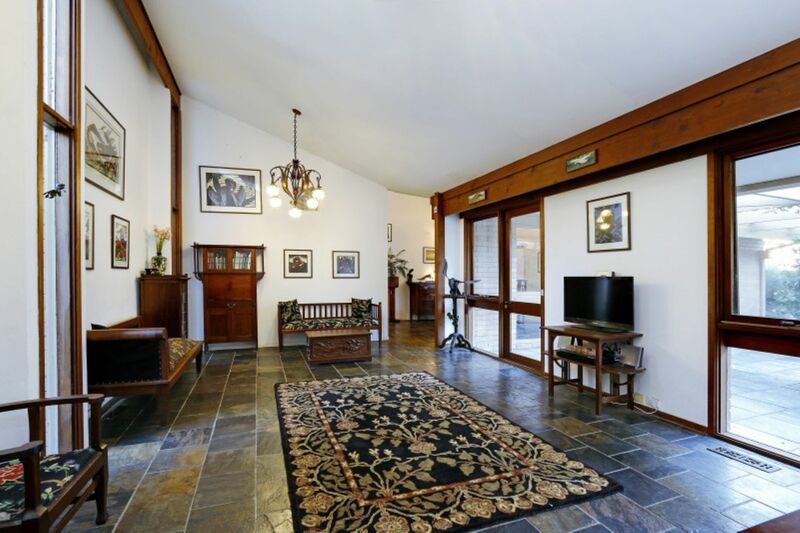 She is positioned walking distance to the village shops and to a myriad of schools, including Peninsula Grammar. 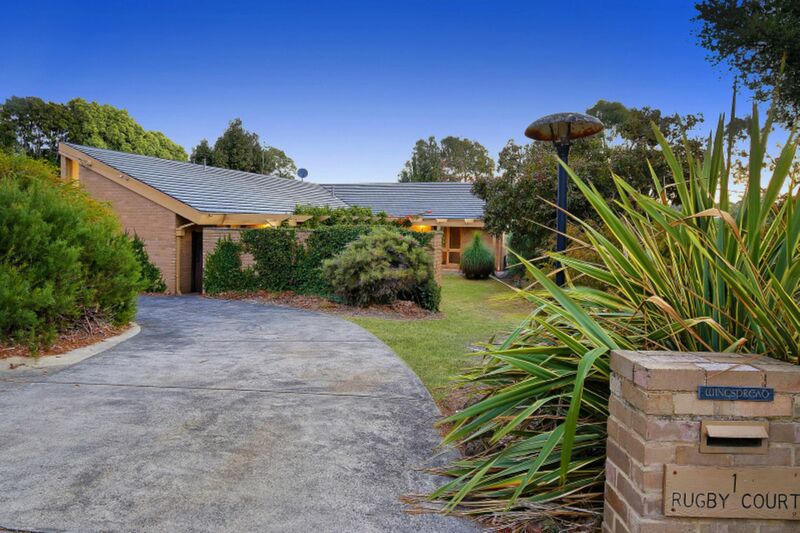 Tightly held by 3 generations of the one family for 50 years, she is now ready to change hands for the first time. 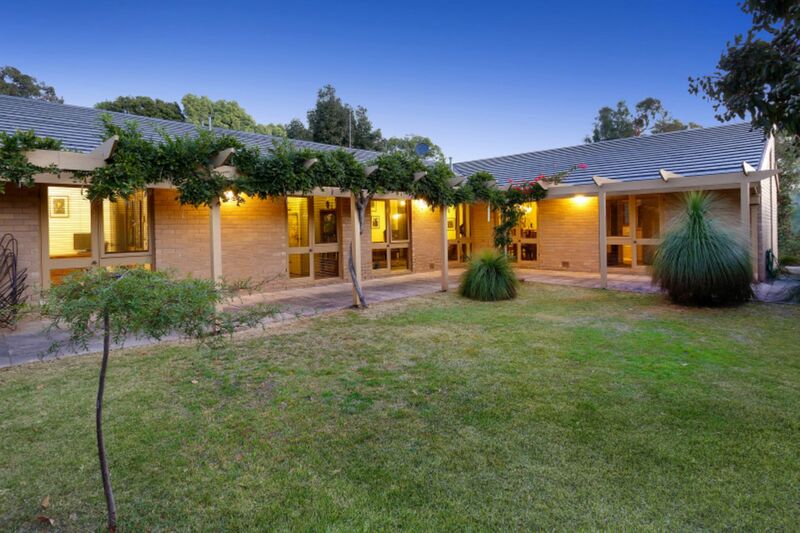 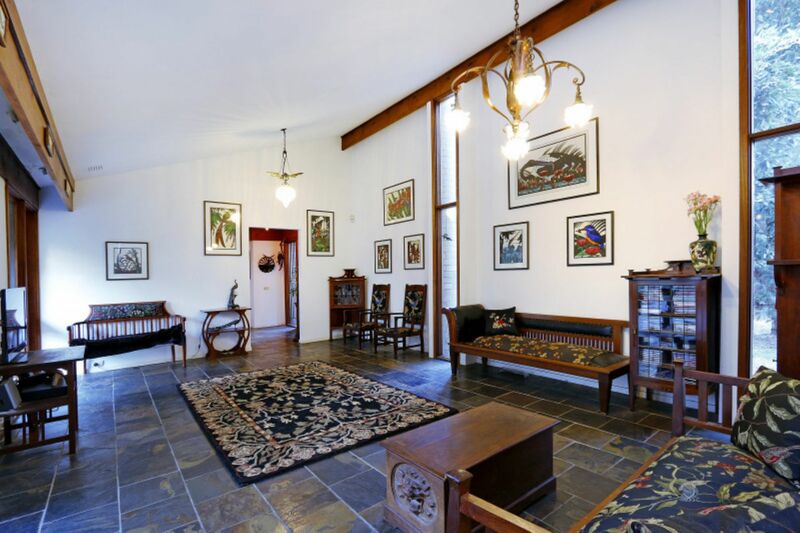 Ahead of her time when crafted into her native landscape, the single-level, light-filled brick veneer home features soaring cathedral ceilings with clerestory windows, rustic cedar beams, a central courtyard and exceptional privacy, by design. 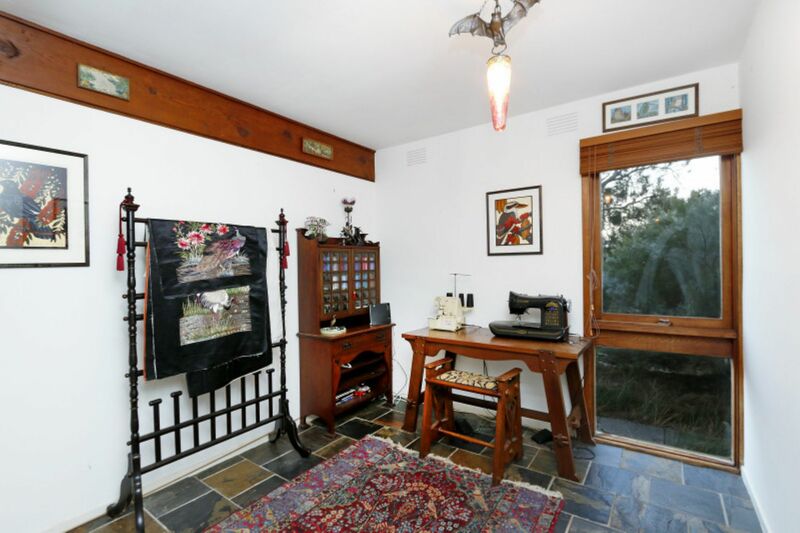 Every bedroom spills onto the courtyard. 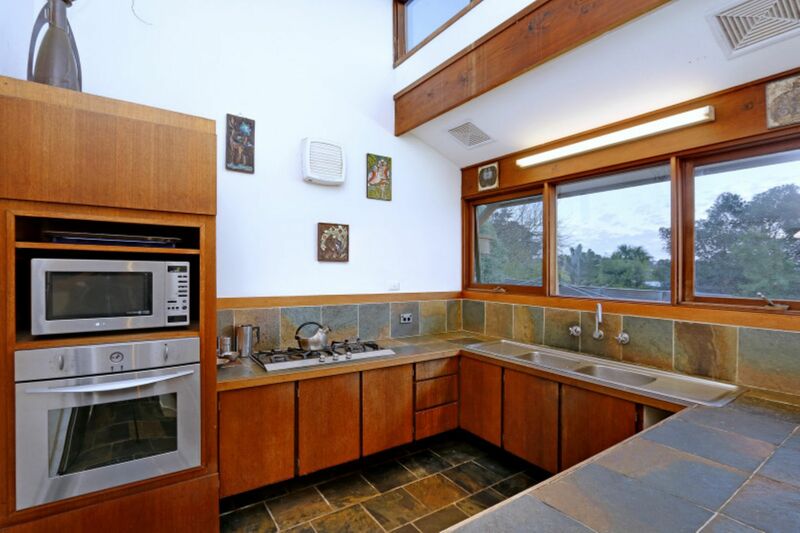 The kitchen features limestone bench tops, a large walk-in pantry and a gas cooktop. 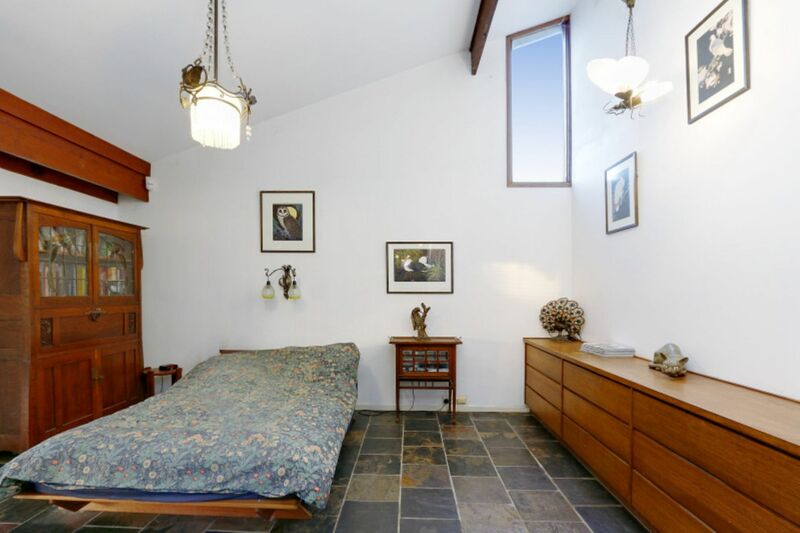 The master bedroom enjoys a spacious walk-in robe and a wall of built-in drawers. 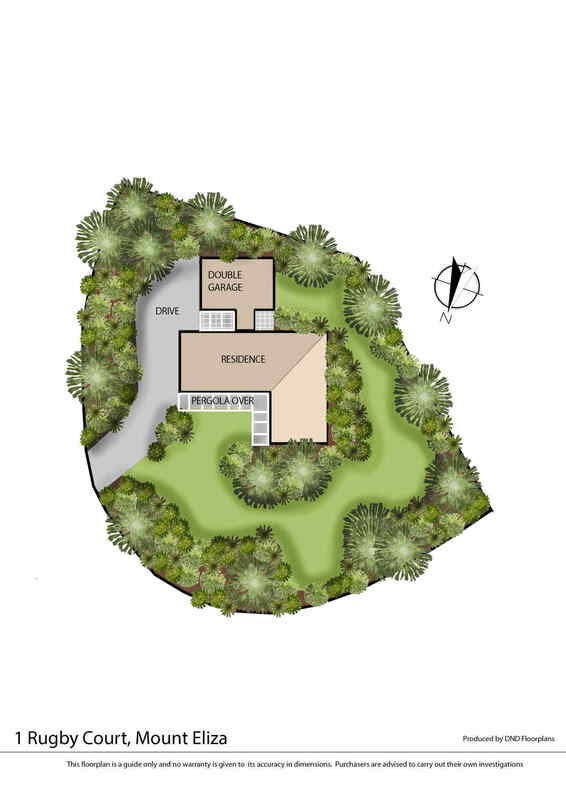 Other appointments include ducted heating, a freestanding double garage with a workshop and a storage room, generous off-street parking, endless character and tranquil nature outlooks from all angles.